This book is now used by the University of Kentucky entrepreneurship program. Are you trying to start a business, and not sure how to write a business plan? Then this is the right course for you. 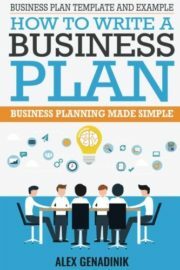 This book is structured as a business plan template that you can use to write your own business plan. The book also explains to you what you should write in each section of your business plan, and how to ultimately have a great business plan. The book also gives you an example of a simple business plan. This way you get a business plan template together practical explanations and an example. So whatever your learning style might be, this book has a high chance of being effective for you. If business planning seems to you complex and scary, this book will make it simple for you. It is written in simple and clear language to help you get started and create a great business plan. So what are you waiting for? Get this book now, and start creating a great business plan for your business today. 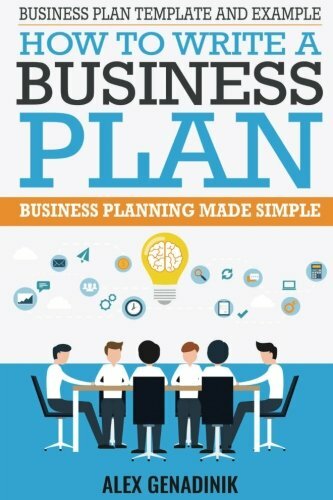 Also recently added in the last update of this book is a business plan sample since many people commented that they wanted a business plan example. Although for my taste as an entrepreneur, I rather give you lots of great business planning strategies and theory that you can use in the real world instead of having a business plan template or workbook to write your business plan from. After all, a business plan is just a document. But to make your business a success, you will have to do it in the real world. So when you try to figure out how to create a business plan, don’t just focus on the business plan document. Instead, focus on a plan for the real world with actionable and effective strategies. Get the book now, and start planning your business today.